Shield Azure, two glass bottles Argent in saltire. The municipality's name is based on the local glass kilns, which had been there in the 15th and 16th century. The glass bottles are canting elements. 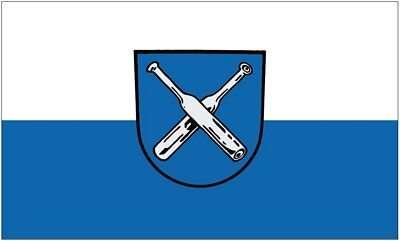 Banner and arms were adopted by the municipality in 1924.